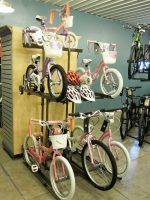 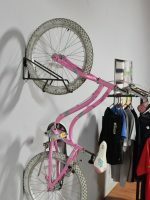 Kids specific racks allow you to display children’s bicycles along with their accessories. 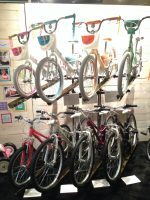 • Create a kid-friendly space using colors, kid’s furniture, coloring books and pictures. 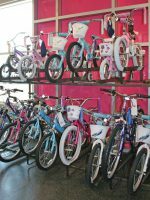 • Provide sizing bikes for the kids to test ride.